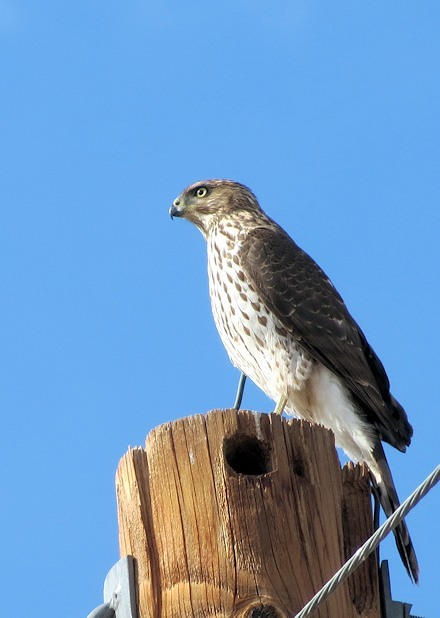 Al and I spent Saturday morning, Dec 22nd, birding the Gila Valley around Wellton, AZ. It was beautiful weather and the birds were out in force. 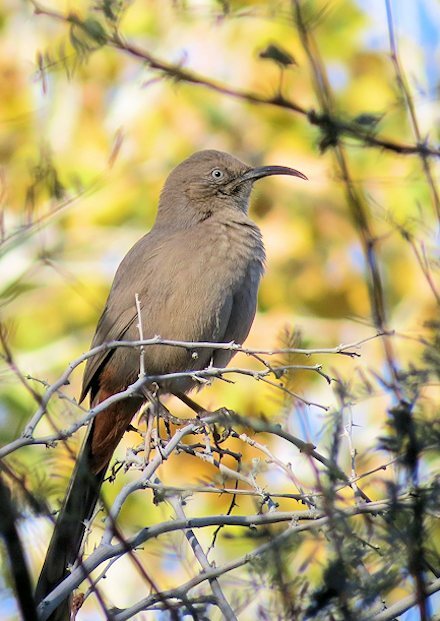 If Inca Doves were a bit scarce in 2011, they’ve sure rebounded this year. The Animal Farm was sporting a good fifty of them. 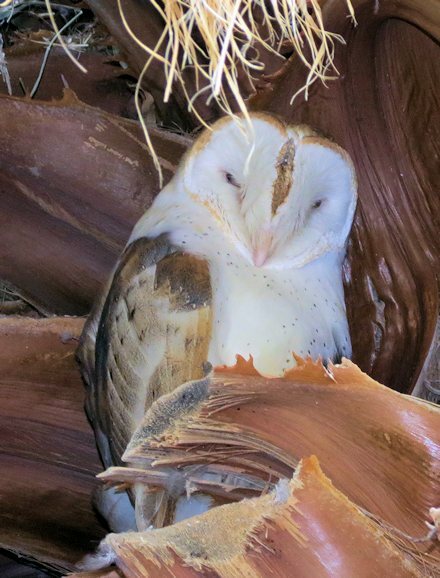 It was neat to see the Barn Owl staring down at us from the palm tree at Green Acres RV Park. Numbers of Yellow-rumped Warblers were also extremely high in many of the spots around the valley. This morning (Christmas Eve) Al, Helga, and I spent a couple of hours at the Yuma West Wetlands and had the usual suspects (Gila & Ladder-backed Woodpeckers, Verdins, 3 Crissal Thrashers, etc.). Additionally we spotted a single Cedar Waxwing and the large wintering flock of American Robins. Merry Christmas & Good Birding!